Okay, I’ll be honest: nothing will make me weak at the knees as much as a good dark lipstick will. 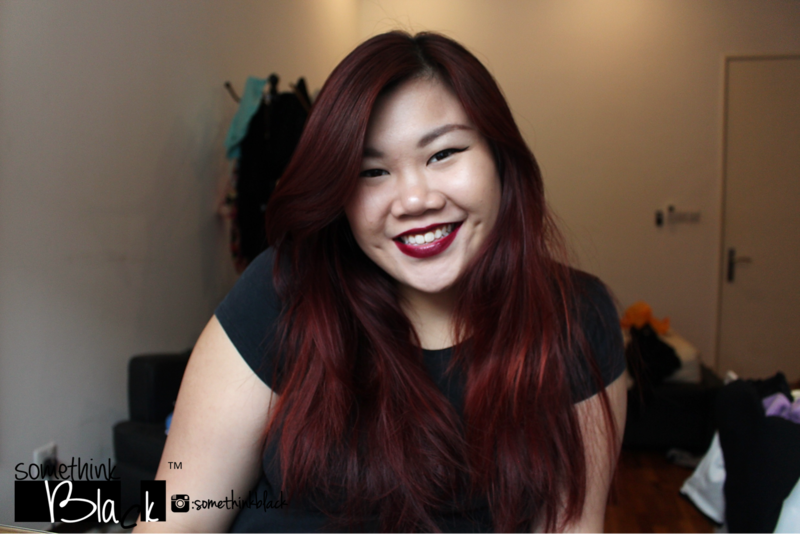 There’s just something so luscious and decadent about a dark lip look, whether it be for a good night out or even a nice daytime outing with friends. For me, I feel like it draws attention to my favorite part of my face, so its very important for me to find the right tone, texture and longevity. I generally prefer colours that come from the purple family: berry, mauve, plum, burgandy, eggplant… You name it, I probably own a lipstick in that purple shade. 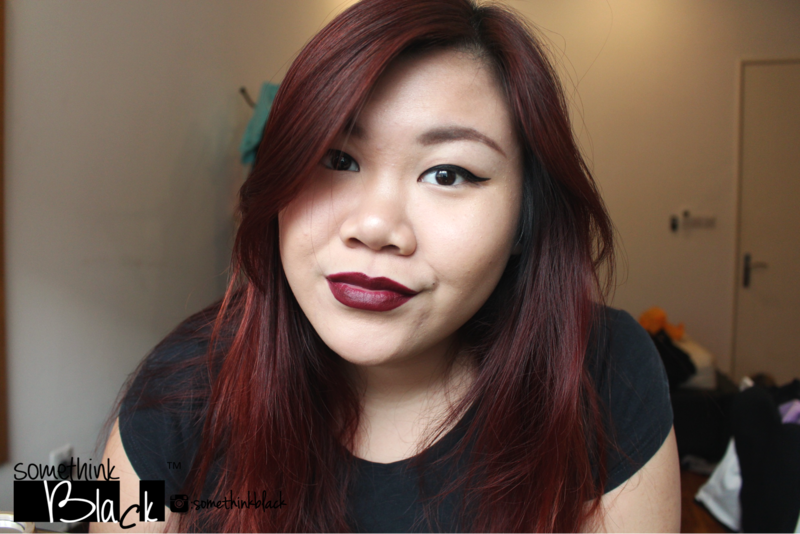 They tend to suit my skin tone much better than reds or browns when it comes to dark lips. So guilty as charged, but all these lipsticks I’m about to talk about are from the purple side of the spectrum. Heh. 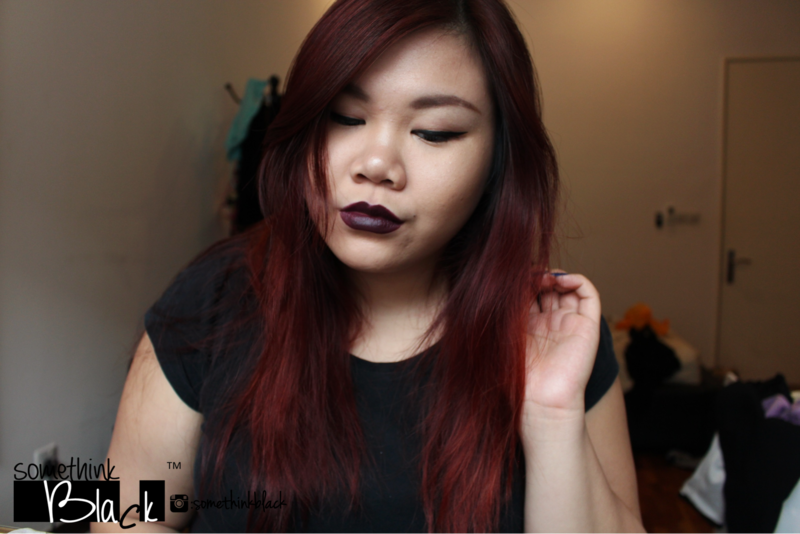 This next beauty is Obsessive Compulsive Cosmetic’s (OCC) infamous Lip Tar in Black Dahlia. 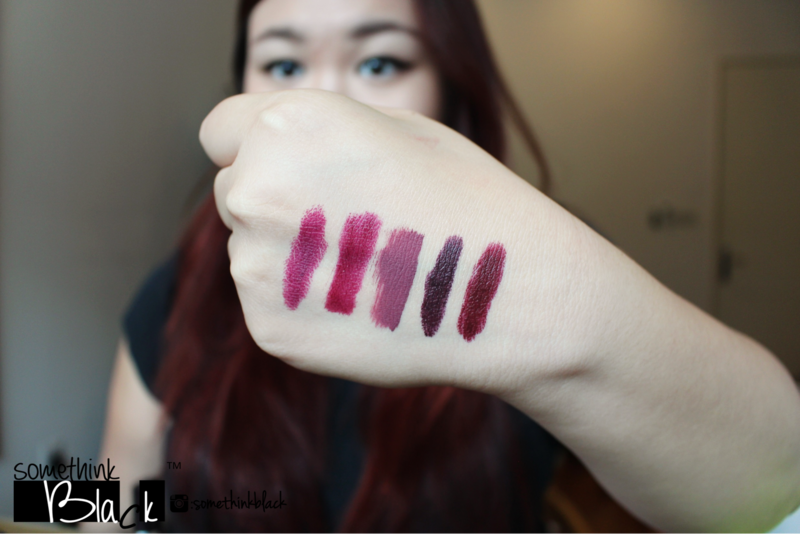 When I first heard about the OCC Lip Tars, this was probably on the top of my list of colours I wanted to try out. As they’re practically non existent in Malaysia, I had to wait almost two years before I got my hands on this (thanks, Ian! ), and boy was it worth the wait! This product HAS to be applied with a lip brush because it has a very liquid consistency, and a tiny bit really does go a long way. This product is definitely build-able, and in this picture I have it to about medium coverage. It looks almost black in the tube, but it applies on this blackened berry red colour, like you mushed blackberries and raspberries together and smeared that beautiful mess all over your lips. The colour is gorgeous! However, there are downsides to this baby: it does not dry matte and it is a bit glossy, which means if you’re planning to go for a long time without touch ups, then this is probably not for you. This can bleed into your lips as well, so please wear a lip liner. OCC products aren’t cheap as well, so keep that in mind while looking out for this. 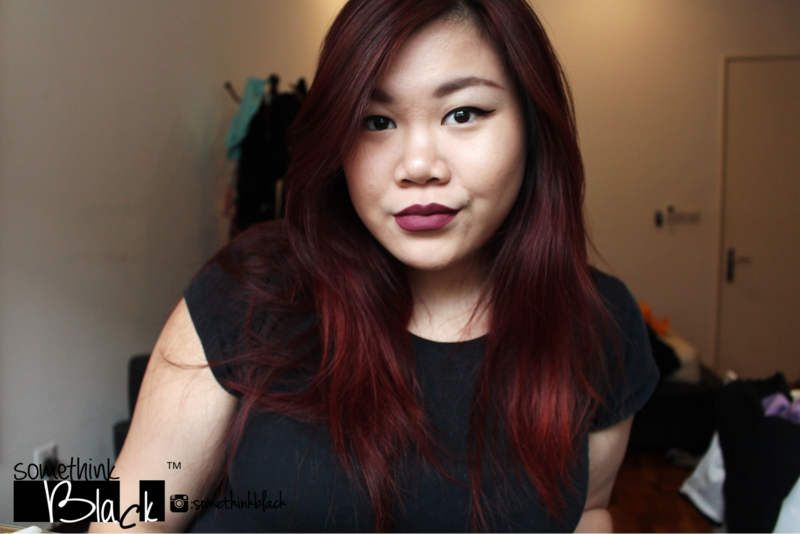 This is probably my favorite of the whole lot: Sephora’s Cream Lip Stain in 04 Endless Purple. Oh. My. Goodness. Actually, scratch that. This is probably my favorite lipstick of ALL time. Its a liquid lipstick that dries completely matte, opaque in one swipe, and let me tell you: you can party all night long, face the zombie apocalypse, have hell freeze over, and this baby will still be there on your lips! This doesn’t bleed at all, and it will hold up to anything you eat or drink as long as it is not drenched in oil. This colour is really unique as well: a plummy purple with an almost grey undertone to it. Its muted, but also very striking at the same time. 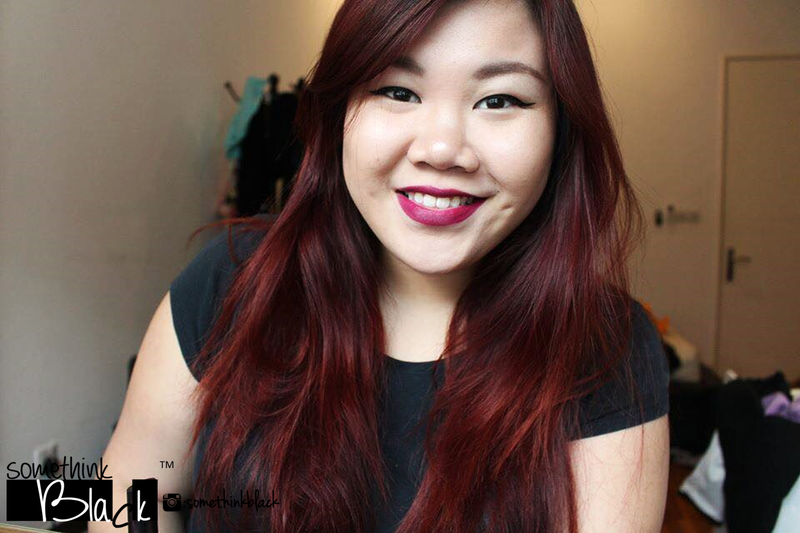 Its something that I always get compliments wearing, and my friends and I have even dubbed it “bae” from my lipstick collection. There are not enough good things I can say about this lipstick. Very, VERY sadly though, this has been discontinued (why do they do this to all the good stuff? 😦 ), so if you can get your hands on one, don’t even think about it, just buy it! 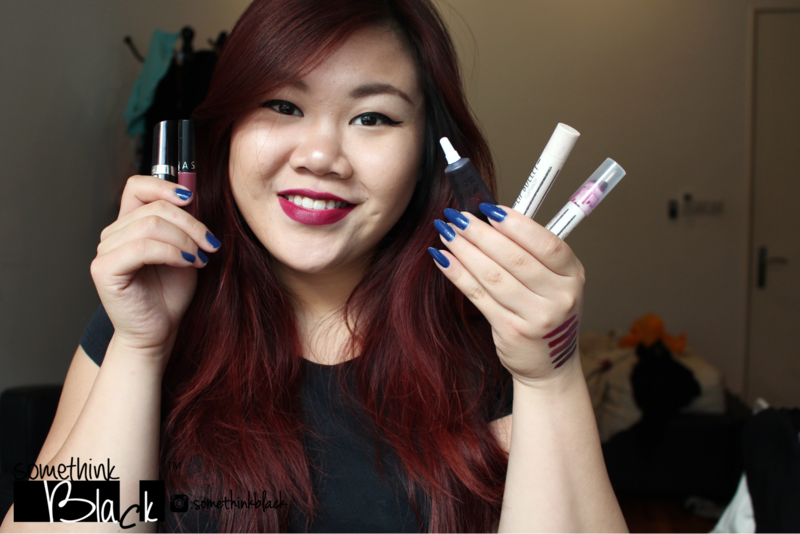 My last two picks are both from Topshop, and they’re actually from the same line (Lip Bullets). I’ve only very recently gotten them, but they have very quickly made their way to my heart. I’ll start with Bewitched. This one is a blackened, almost bruised aubergine. Its not quite black, and has a purple undertone to it. As scary as this one might seem, it actually looks really good in person, and it definitely brings out the white in your teeth. Wine Gum is a bruised reddish vampy shade with hints of purple in it. They’re both very opaque and apply really smoothly. They dry to about 95% matte, with just the slightest sheen to it. It feels almost similar to the consistency of cream-to-powder items, except this doesn’t dry totally matte, which is completely fine by me. I haven’t worn them out yet, but I predict that they last quite a fair amount of time based on their consistency. My only pet peeve with these is that I have to be super careful when I replace the cap, otherwise I might end up with a chunk of lipstick on the side of the cap. Sigh, look at all these pretty babies. ❤ Side by side, you can really see how different they are, and I adore each and every one of them.